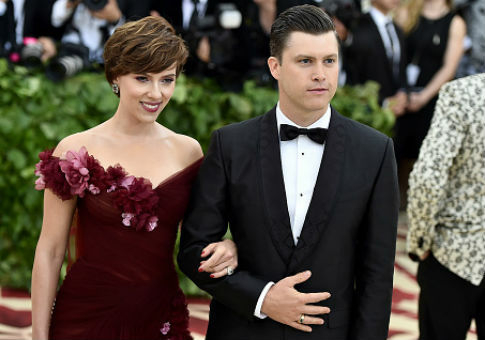 Business Insider pulled a conservative columnist's article after staff complained internally about the piece defending actress Scarlett Johansson from what she thought was unfair criticism for being cast as a transgender man in an upcoming movie. The publication took down the piece on Friday, and appended an editor’s note to the page on Tuesday saying that "Business Insider removed the column because, upon further review, we decided it did not meet our editorial standards." The backlash against Johansson was focused on the fact that she herself is not transgender, and critics argued the role should have gone to someone who is not only acting the part. "The job of an actor is to represent someone else," Greenbaum wrote. "Johansson's identity off the screen is irrelevant to the identities she plays on the screen. That's what she's paid for. And if she does her job, she'll make everyone forget about the controversy in the first place." Global editor-in-chief Nich Carlson sent an email, obtained by the Daily Beast, to editors on Monday letting them know that the media outlet would be creating an internally available list of employees who had "volunteered to talk about culture and identity issues" to other staff. He also let them know that all "culturally sensitive columns, analysis, and opinion pieces" would be reviewed by BI's executive editors before being published. "Editors should make sure we are not publishing shallow, ‘hot takes,’ but instead, fully thought-out arguments that reflect and respect the opposing view," Carlson said. "There should be no partisan name-calling, e.g. ‘social justice warriors,’ ‘libtards,’ or ‘rednecks.’ Opinion and arguments should feel reported and researched, and not like quick reactions." "This does not mean our argument-writers should not take big swings, or that they must have opinions shared by everyone in our newsroom," he added. Greenbaum wrote a recent column suggesting that Democrats support former New York City Mayor Michael Bloomberg’s political views. This post sparked outrage from Democrats on Twitter. Greenbaum responded to her employer taking down her piece by saying that she disagreed with the decision and that she stands by her original piece, according to a spokesperson for Business Insider. This entry was posted in Culture and tagged Movies, Transgenderism. Bookmark the permalink.